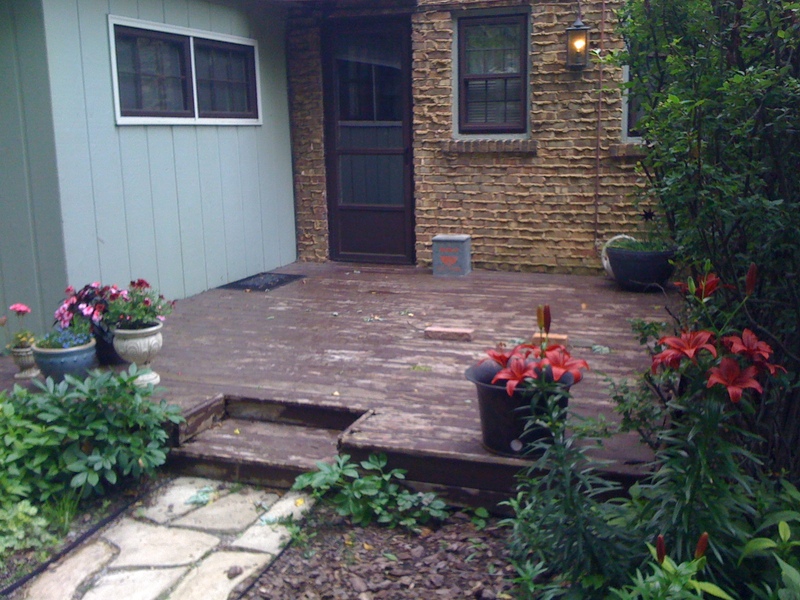 The other weekend I had the opportunity to replace a worn out deck off of our back door. Now, I’m not such a super lean geek that I think lean 24/7, but there were a few lessons I learned from this project. Yes, I actually planned a little ahead on this undertaking (and no, I didn’t create an A3 Report). 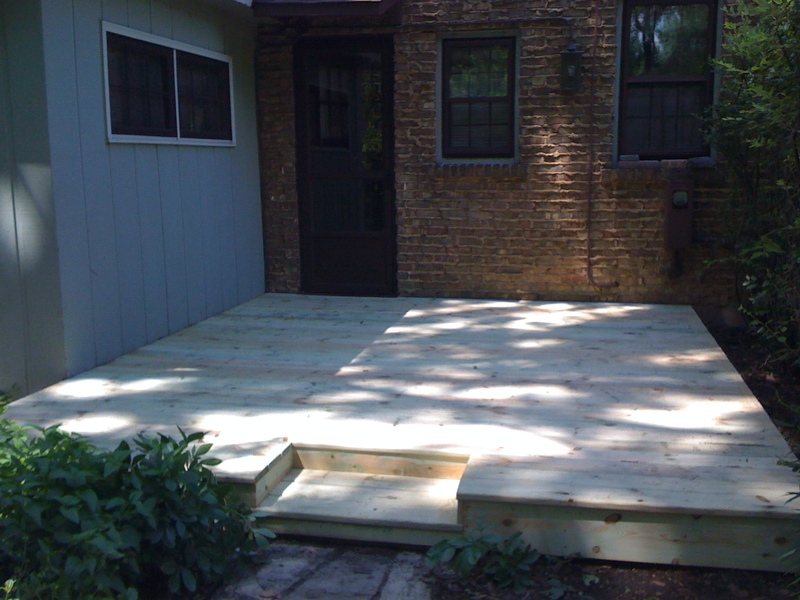 Replacing a deck is not the same as building one from scratch, but there was still a little planning that needed to occur. First, I checked to see if I needed a permit (o.k., actually I had my wife call the village hall). We were fine, no permit needed; we were just replacing the decking and not rebuilding the whole thing. Next, we got a few quotes from some local carpenters that we knew. Hey, I know my limitations, and I knew I couldn’t do the whole thing by myself. I also checked into (o.k., once again I had my wife do this) getting a dumpster so we could haul off all the old boards and scrap. When planning, it is good to call in an expert so I called my brother that just had a deck put in a couple of years ago. He gave me sage advice and had a highly recommended carpenter, Dave. As part of the planning process, I check the local hardware stores for wood and screws. I think I made three trips – not thinking ahead of time that it was pretty much the same each time I went. I was able to convince my wife that I needed to take Friday off of work so I could tear down the old deck and prep it for the rebuild on Saturday. So I think what she heard was that I was taking a “vacation” day. She though that it should only take me a couple of hours, maybe something I could actually do when I got home from work on Friday night instead of taking the day off. Knowing a little better, I convinced her that I needed a little more time (I think she still thought I was taking a “vacation” day). So it took me about half the day, with the other half needed to recuperate. On the big day, my brother and carpenter Dave showed up for the big job. We headed over to the lumber yard (my brother has a truck) to pick up the wood. We go to the service desk and told them what we needed, paid for the wood and drove around back to start loading it into the truck. We backed the truck up to the wood shed and Dave started grabbing the wood and inspecting it, looking at it, turning it and declaring “this piece is no good”. Of course to help things move along (we were already behind schedule due to unforeseen circumstances – they were late) I started grabbing wood and looking at it, turning it and declaring “this piece looks good”. I wasn’t really sure what I supposed to look for, but at least I sounded official. So we get back to the house and Dave starts directing me on what we were going to do. Unfortunately for me, I thought he was speaking in code. I would nod my head enthusiastically and say “Sounds good” without really understanding if Dave was even speaking English. So, we get the first piece down o.k. I was able to even drive in the screws without stripping the heads. Then came the second board, it was shaped a little bit like a banana; I think this was one of the ones I picked out. Dave, being the expert said something I think was in English which meant we would have to straighten out the board as we screwed it into the frame. Thank God for hiring an expert. He gave me some sort of directions to move it this way or that and lo and behold we screwed the entire board in straight. Now picture us doing this for 30 more boards. O.k. I know our deck was falling apart. The previous owner just painted over the rotted wood to make it look “good enough” when we bought the place. Well, after the winter we had, chunks started to fall out. I’m not talking about little pieces; these pieces were so big that we had to put flower planters over the holes so that our dog wouldn’t fall in. So at the behest of my wife for the safety of our dog, Owen, we had to fix the deck. Now knowing about Total Productive Maintenance and the like, prevention is much better than a breakdown (literally in this case). But since I didn’t get a chance to do any preventive maintenance on this deck, it was beyond hope. So I am committed with the time and expense that I (I mean we) put into this deck I will make the effort to maintain it. « T.V. Show “Undercover Boss” – not a Lean Leader?